It seems like that we started our wood-refinishing project years ago, but it was only August of 2005, when we moved into our new house. Just before we closed on our home we had all these big plans (hardwood floors, restoring the windows, getting rid of all the 70's abuse, restoring the kitchen to a more "Victorian look" and so much more. I even do not want to go into the mechanicals of the house like HVAC, Plumbing and Electrical). We are just about to have the doors, moldings around the windows and the baseboards finished in the formal living room and are getting ready to paint the walls. Since all the moldings from the seven foot windows are completely removed we are contemplating to have two window restorers come out and help us to refurbish the sashes and perhaps retrofit them to accommodate dual paned glass. We found two window restoration contacts at last Saturdays Historic Roosevelt Home Tour and took a look at the work they have done. Quite impressive, to finagle dual paned glass into these old and "skinny" window sashes. We'll have to see what the quotes are going to be.....and/or if it is even possible. The Historic Roosevelt Home Tour was actually a good source for us to compare our home to other homes in the area from the turn of the century. The Ellis-Shackelford House at 1242 N. Central Avenue in Phoenix has similar but simpler Mahogany Moldings and were never painted. 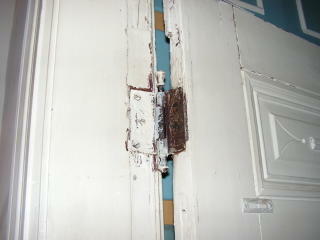 Built in 1917, it is amazing that all the wood trim survived without getting molested with paint. The second floor's wood trim however, got painted in a gray color and of course nobody is crazy enough to restore it back. One may say that I am biased, however the wood trim in the Titus House is in far better shape after all the chemical stripping, sanding, staining and clearcoating compared to the untouched wood in the Ellis-ShackelforD House. This is astounding since The Titus House endured 25 years more of desert wear and tear. I've been searching all over the web for info on how to refinish old woodwork. 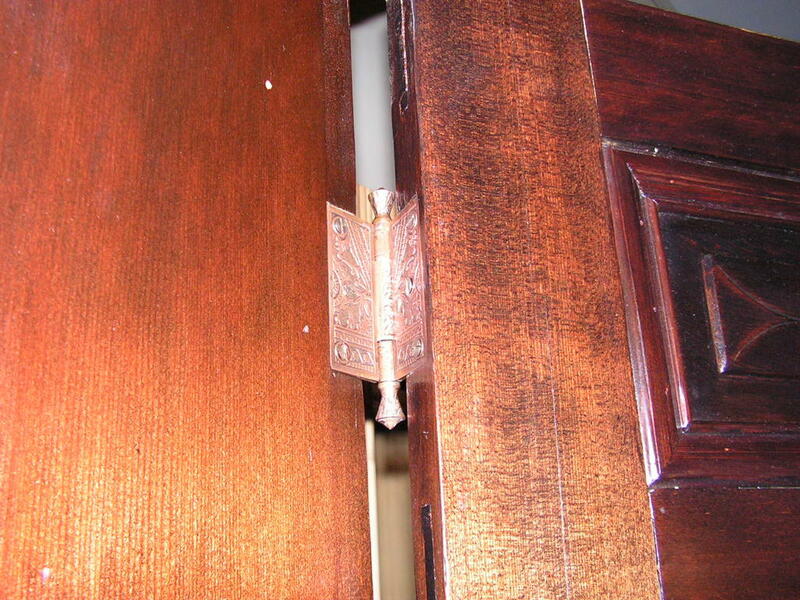 We just bought a 1920s colonial, nothing historical, but with beautiful woodwork. However, the woodwork has seen better days. I'd love to refinish it, but have no idea where to start. Pulling the wood work down is not an option, so what can I do in place? Any pointers would be appreciated. Well, there is a bit of information out there. 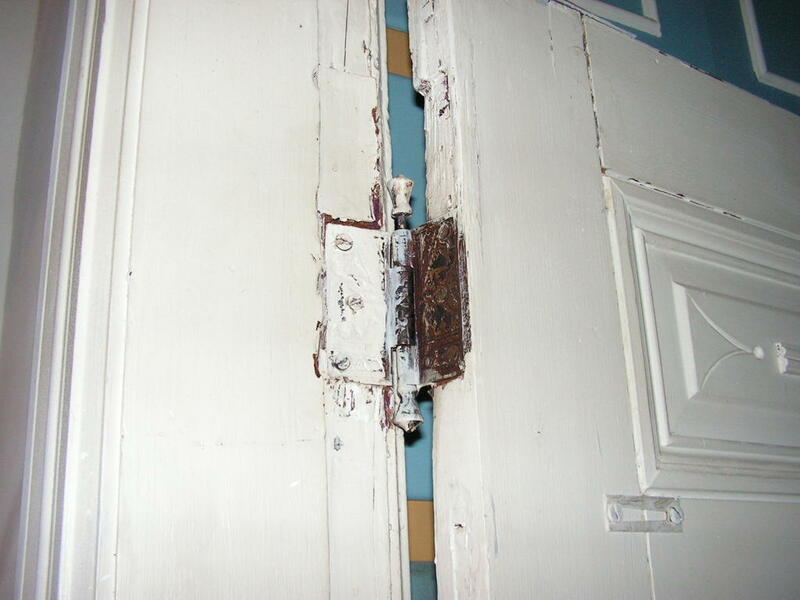 I know that 1902victorian.com is doing her stripping without removing the wood. You might want to take a visit over there... but I believe she is using a heat gun for the most part... our process involves chemicals, which may be inadvisable for indoor usage, depending on your ventilation. You might have to try several different brands till you find what works best with the paint that is on there and the kind of wood. Prepare to sand, a whole lot. In our living room alone, we have gone through two sanders, mainly because we need a sander that can get into the grooves and the big commercial ones do not do that so well... at least the ones I looked at. I have heard the heat gun works well, but we have not used it. It is dry enough here without adding to teh heat and making the wood worse via high intense heat... but that is just my thought and not based on any actual fact. Did you do all the refinishing your selves? And if not, how can we find the people who are responsible? It looks wonderful and well worth the spent money..